Regional Stock - Shopkeepers in different regions now only stock certain item sets, due to some mistimed deliveries. Strike a Pose -	We’ve expanded our clothing range to include the Executive Admiral, Grand Admiral, Rotten Bilge Rat, Castaway Bilge Rat, Corsair Sea Dog, Ruffian Sea Dog and Imperial Sovereign sets. Ship Shape - Multiple sets of ship cosmetics have been added to the shipwright stock. Now you can purchase and equip Grand Admiral, Castaway Bilge Rat, Ruffian Sea Dog and Imperial Sovereign ship customisation sets. Ohh, Shiny! - Visit the weapon shops at the many outposts to find their stocks of Grand Admiral, Castaway Bilge Rat, Ruffian Sea Dog and Imperial Sovereign weapons. Fancy a new weapon style? We’re sure one of these will take your fancy! 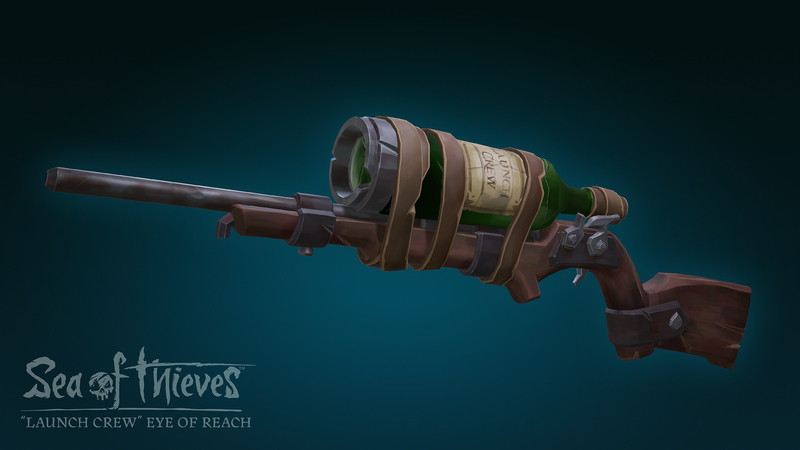 “Launch Crew” Eye of Reach - In celebration of being at sea for a month, we've added a special weapon to the store. This limited edition item will only be available for two weeks, so grab yours while you still can at a very reasonable price of 1 Gold! Tutorial Invulnerability - Players are no longer invulnerable during parts of the Tutorial when first launching the game. This should resolve confusion around players seemingly being invulnerable at outposts. We take all reports very seriously, so please log a Support Ticket and we will investigate further. Skeletons Accuracy - When shooting cannons from islands at long distances, Skeleton accuracy has been reduced. We read your feedback that it was a little extreme... #SkellyOP! Merchant Voyages - It is no longer possible to force Merchant voyages to request delivery to a specific outpost. Now you'll have to earn your cheddar. Sneaky Climbing - The bell on the small ship has been moved to the other side of the ladder, to avoid accidental ringing. We're redecorating! With the Ammo Crate and Bell moved, what are we moving next? [PC Only] Rebinding to the F key will no longer soft lock the radial. This has been a top reported issue to Support, and we believe this is now resolved. If you are still encountering issues with this rebind locking the screen, please log a Support Ticket and we will investigate further. Incorrect company icons will no longer be displayed for a split second if trying to get reputation from two different Trading Companies. Joining a dead player whose ship is parked at an active Skeleton Fort will no longer prevent the joining player’s radials from being opened. Recent Players list will no longer be delayed in updating players from other crews. Hunter of Cursed Crews and Hunter of Fort Skulls Commendations now track. Voyage inventory message is now translated when there are no voyages in the inventory. Loot items can no longer be dropped behind the Captain’s table on the small ship when trying to place them on the table. Musical instruments can now be used immediately after interacting with parts of the ship. [PC Only] Half Vsync option was removed. The Frame Lock option should now be used instead. 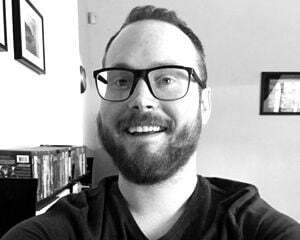 Resolved an issue which could cause players to fail to migrate and remain on low population servers. Repetitive actions from players will no longer impact the network stability for other players. Frame rate lock option is no longer disabled when vsync is enabled. Significant reductions in time taken to return from the Ferry of the Damned. Images in all Chests now load gracefully when browsing. We are working on a way for our Customer Support team to reset your pirate to your original selection. If you have experienced this bug, please ensure you have logged a Support Ticket for this issue. Players are experiencing delayed achievements and commendations from in-game actions. We are working on a way for our Customer Support team to re-award these achievements and commendations back to players.